Gilbane scores with Bowling Green State University in the construction of a state-of-the-art facility that will benefit student-athletes and recruiting for years to come. 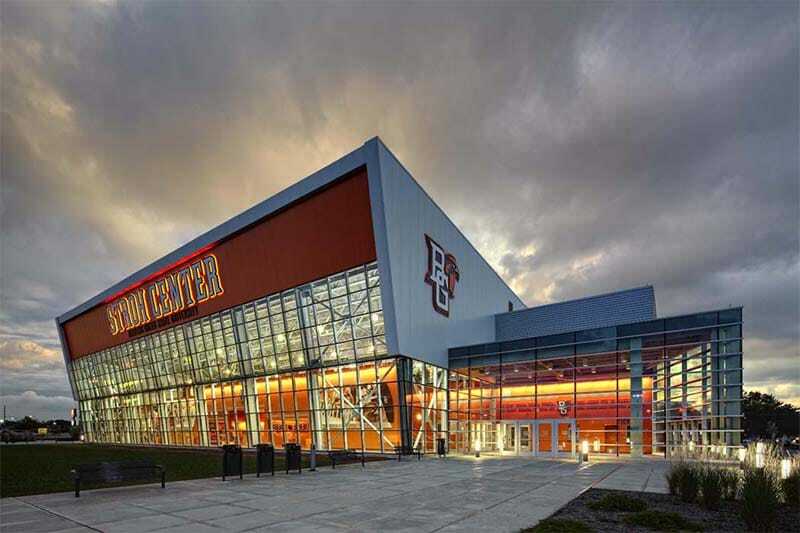 Gilbane collaborated with Bowling Green University’s Capital and Planning Department to serve as an extension of BGSU’s staff for a new 140,000 SF arena that achieved LEED Gold certification. 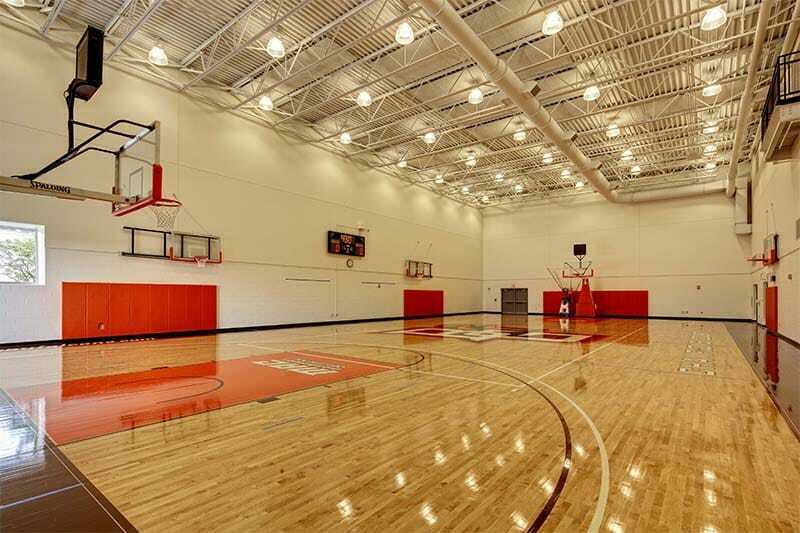 The facility supports intercollegiate athletics including men’s and women’s basketball, women’s volleyball and other college events. 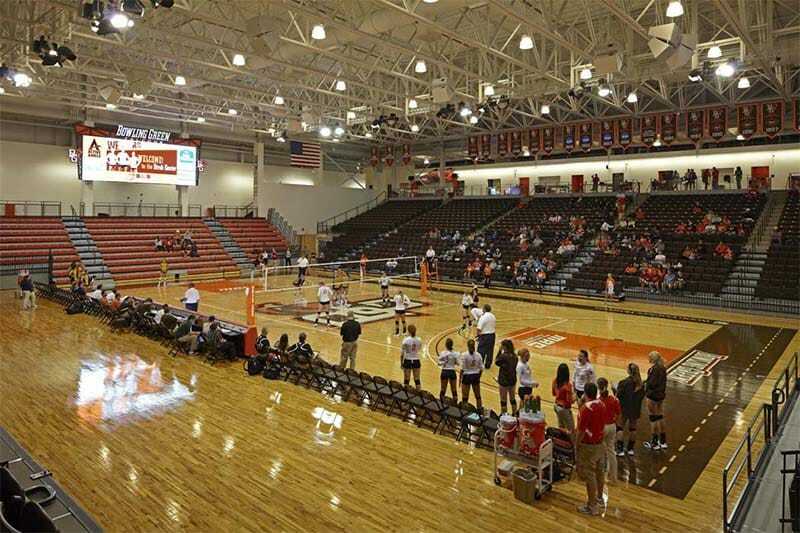 The Stroh Center has a seating capacity for approximately 5,000 spectators. The convocation center incorporates an expansive lobby space with an upper concourse providing access to the seating bowl, concession stands, the Stroh Center Club and restrooms. The lower level includes athletic offices, storage, locker rooms, the team store and the Hall of Fame area that commemorates athletics at BGSU. As an extension of BGSU’s staff, Gilbane assisted with constructability reviews, schedule development and monitoring, and estimate reviews, as well as on-site construction monitoring. Prior to construction, Gilbane also provided a variety of design phase services as part of a feasibility study conducted for the potential construction of a new convocation center for the university. The analysis included site evaluation, utilities and connectivity, technology, integration with the BGSU master plan, environmental analysis and conceptualization, building system and requirements. 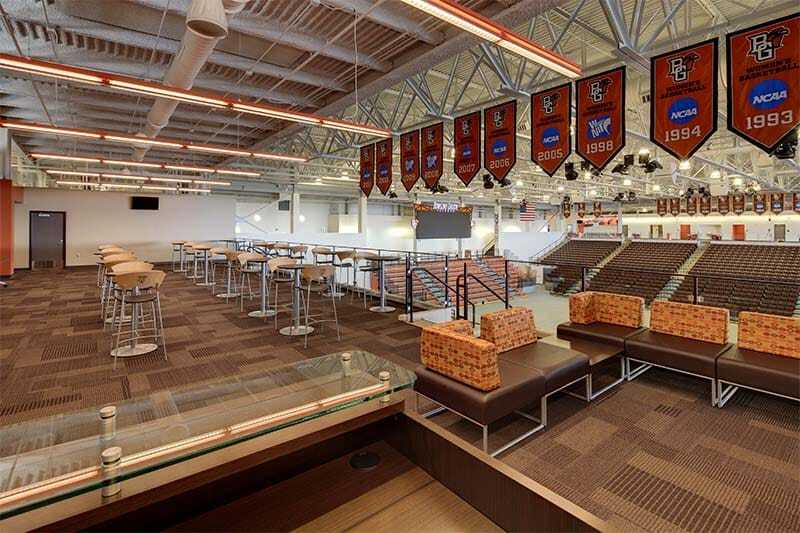 A key goal of The Stroh Center construction was to recreate the intimacy of the previous Anderson Arena, while providing athletes and spectators with the modern comforts found in a state-of-the-art convocation center. Through collaboration with the design team and the client, the team was able to deliver an arena that updated the arena to today’s standards, while keeping the intimate feel.